"Boeing is finalizing its development of a previously-announced software update and pilot training revision that will address the MCAS flight control law's behavior in response to erroneous sensor inputs", Boeing president and CEO Dennis Muilenburg said in a statement, cited by AFP. 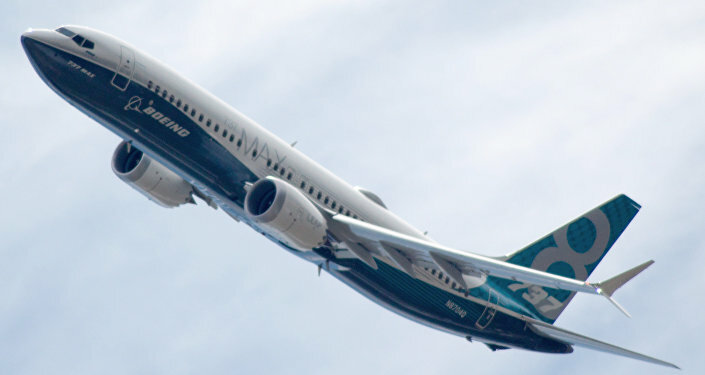 US-based media have suggested that the Boeing 737 Max 8 series had been certified without additional pilot training, despite changes to prior safety systems. In turn, the US House Committee on Transportation and Infrastructure vowed on Wednesday to conduct a thorough investigation. "Despite repeated assurance from the FAA (Federal Aviation Administration) in recent days, it has become abundantly clear to us that not only should the 737 Max be grounded but also that there must be a rigorous investigation into why the aircraft, which has critical safety systems that did not exist on prior models, was certified without requiring additional pilot training", Chairman Peter Defazio and House Aviation Subcommittee Chairman Rick Larsen said in a press release. A Nairobi-bound Ethiopian Airlines Boeing 737 MAX 8 crashed last week. All 157 people from 35 countries on board were killed. In the wake of the tragedy, which followed a similar deadly crash of a Boeing 737 MAX in Indonesia in October 2018, aviation authorities and airlines around the world either grounded their 737 MAX 8 series aircraft or closed airspace to them. According to a preliminary investigation, the plane's sensors were reportedly showing incorrect speed and altitude readings. The FAA also found similarities in both accidents during the investigation. Boeing, for its part, said on Wednesday, however, that it had "full confidence" in the safety of its 737 MAX aircraft but supported the decision to temporarily ground the entire fleet of 737 MAX 8 and 737 MAX 9 series planes after the crash. The aircraft manufacturer said in a press release on Monday that all Boeing 737 MAX aircraft would adopt new enhanced software in the coming weeks.